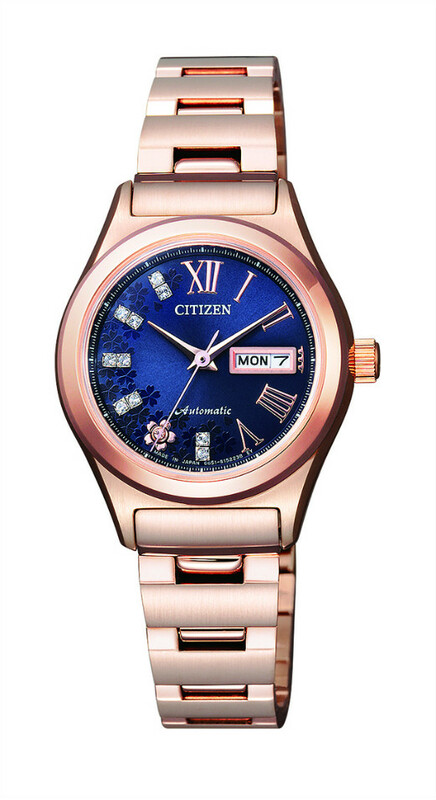 CITIZEN has launched beautiful watches designed based on the motif of the cherry blossom! “Yozakura” or “Sakura Pink,” which do you choose? The flowery watches brighten your wrist and mood! 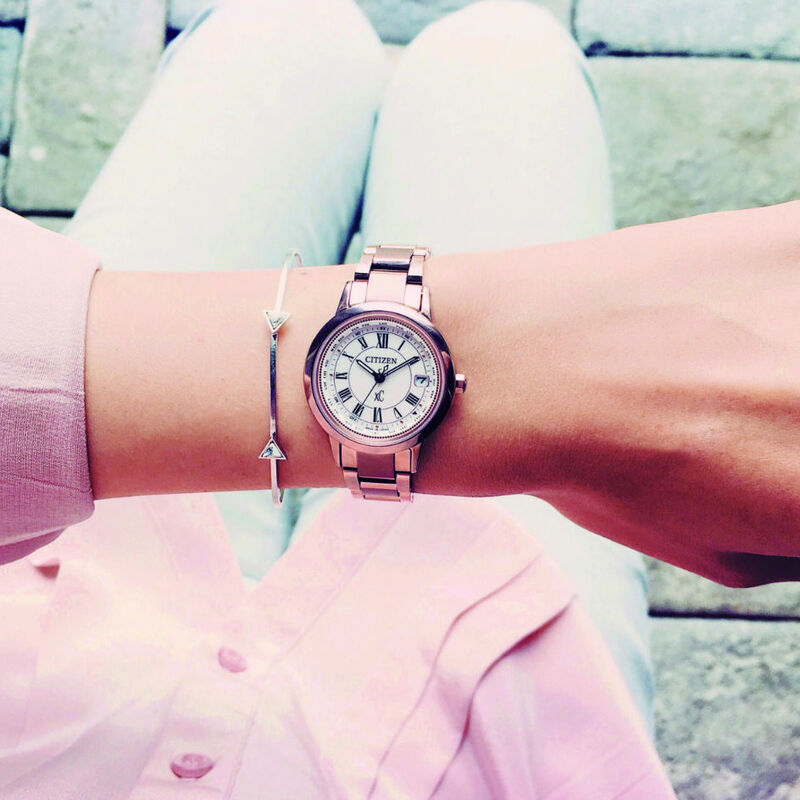 For women, a watch is the item to dress your wrist up beautifully. They are now essential items not only for practical use to know time, but also for fashion. 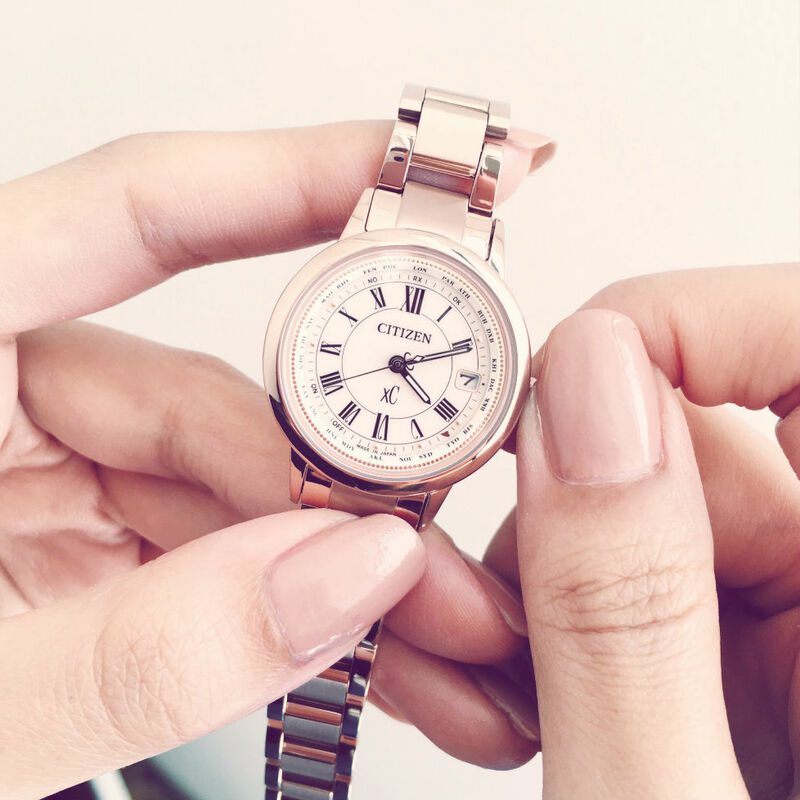 We want to change watches to match our mood or clothes for the day. 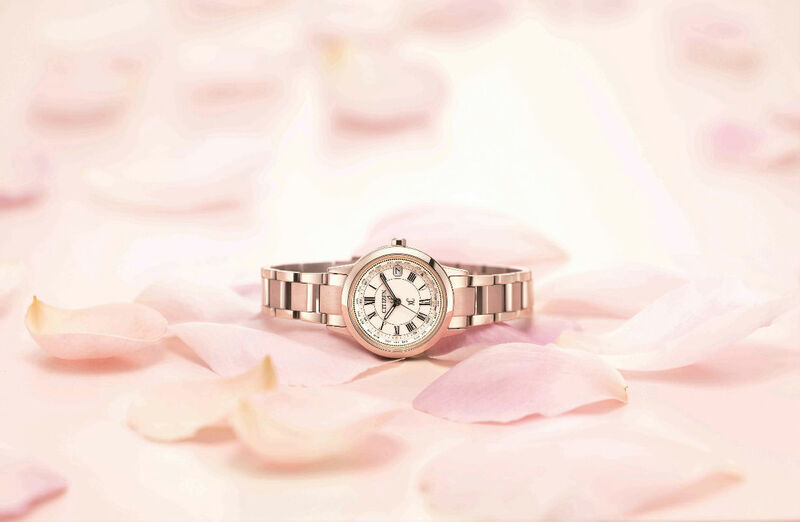 Japan’s representative watch manufacturer, CITIZEN, has launched watches designed on the motif of cherry blossoms that are perfect for spring when we enjoy dressing up! 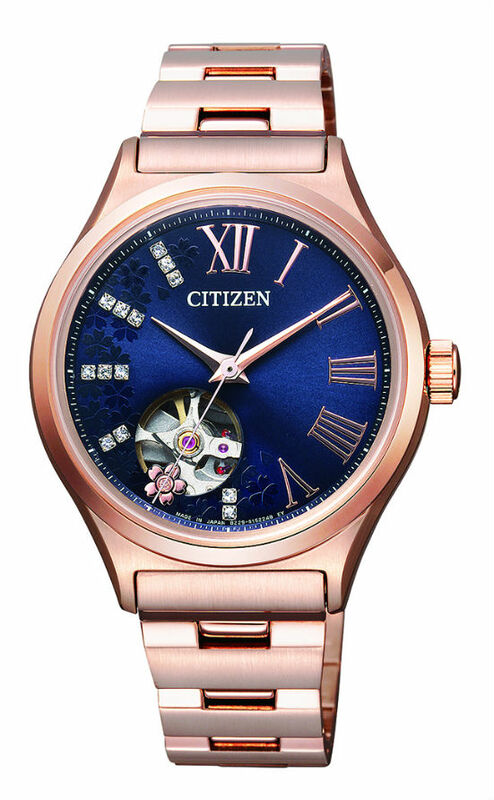 CITIZEN started selling a mechanical watch for women, which was designed with the image of fantastic cherry blossom falling in the night sky on February 3. Both models, PD7162-55L and PC1003-66L, are limited to 2,000 watches. A navy crocodile leather band is provided with the watch, so you can replace it and enjoy coordinating the watch with the color of your outfits and accessories. Swarovski crystals are seen at indexes from 6 o’clock to 11 o’clock, and they create a shiny impression. A sakura flower is placed at 7 o’clock. 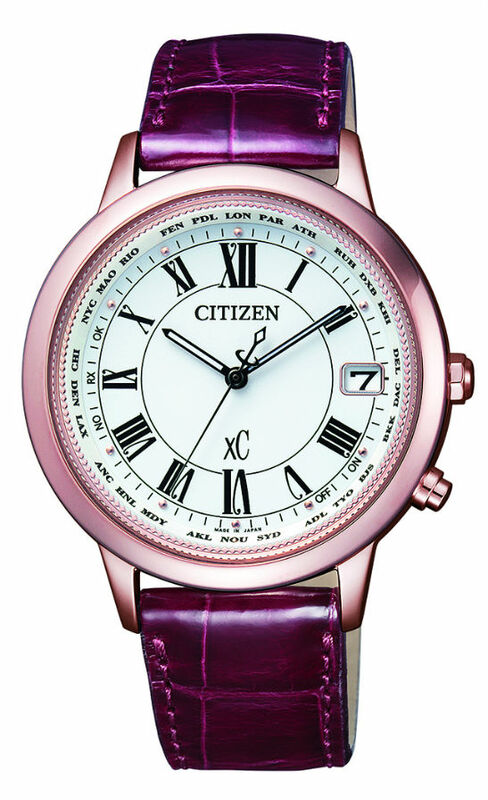 PC1003-66L has a small window called an open heart through which you can enjoy the mechanical movement of the watch. Since starting in 1996, “xC” has been chosen by many women. A new model of it has been released on February 9, 2017. The design theme of this xC of a pale “sakura pink” is “a beauty.” It is designed keeping in mind a modern woman who lives elegantly having both strength and sweetness. The watch makes woman’s skin look more beautiful. ◆Radio waves can be received in four regions of the world making it easy to adjust the time. Because xC watches are charged by sunlight or room light, you don’t need periodic battery replacement. Besides, the watch receives radio waves from four regions of the world (Japan, China, Europe, and North America), it will keep accurate time and date automatically. Furthermore, the watch is equipped with “the world time function” which enable you to adjust the time easily while traveling. Despite having many functions as above, the watch is surprisingly light weighing just 33 grams!（CB1104-05A） Use this watch that has a great presence comfortably. Good for a present, not to mention for yourself! These watch designed on the motif of cherry blossoms can be purchased at department stores, electronics retail stores, etc. 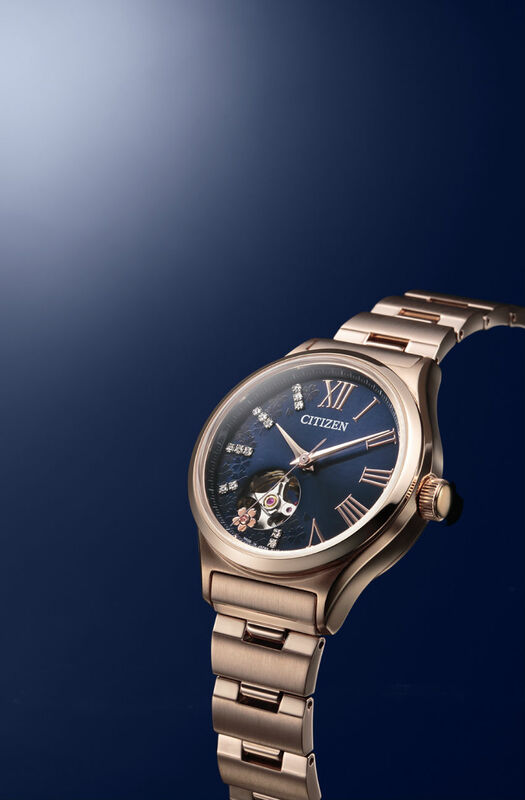 As the CITIZEN collection model especially comes with a special box designed with the same sakura motif as the dial, it is ideal as not only a souvenir of Japan for yourself but also as a present for your loved ones. If you wear the CITIZEN watch with bright colors, you will get attention from people without a doubt!